Born at Perth, Ontario on 5 February 1854, the son of James Bell, the Registrar of Lanark County and the grandson of the first Presbyterian minister in the county. Bell had a taste for adventure, and in 1866, at the age of twelve, he ran off to join the Perth Rifle Company as a bugler, to fight the Fenians. A much greater adventure presented itself four years later when he set out for the west with Garnet Wolseley, again as a bugler. He traveled west with the young Sam Steele, later a famous officer of the North West Mounted Police and the commander of Lord Strathcona’s Horse in the South African War. The two men remained close friends and in their later years and were neighbors in Winnipeg. Like many other troops who came west with the Wolseley Expedition, Bell did not return to Ontario. He spent a year, in 1872-1873, hunting and trading along the Saskatchewan River. Lieutenant-Governor Morris asked him to write a report on his experiences when he returned to Manitoba, and, in his report, he commented on the wild game situation, especially the state of the bison herds. Bell began working in Winnipeg as a customs officer for the Dominion and was a participant in the December 1878 ceremony to mark the opening of the first railway to Winnipeg. In 1886 he became Secretary Treasurer of the Winnipeg Grain Exchange and, the next year, he was hired to be Secretary of the Winnipeg Board of Trade. 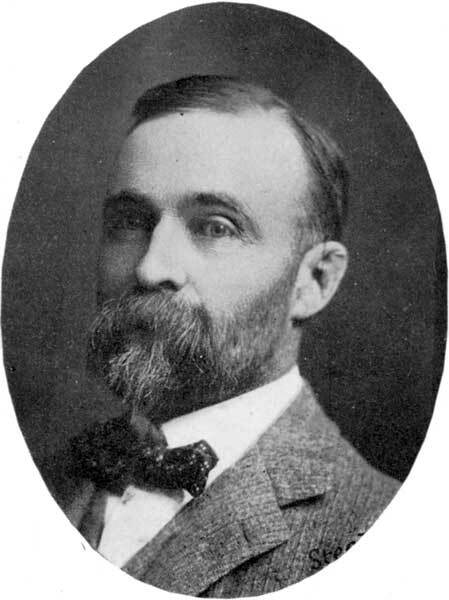 He was the original secretary of the Winnipeg Industrial Exhibition in 1891 and he served as President of the Canadian Club of Winnipeg in 1912. He had various business interests. He was married to Alice Maud Georgina Bell (1860-?) of Toronto, with whom he had four children: Frederick Charles “Fred” Bell (1883-1971), Percy George Bell (1884-? ), Nora A. Bell (1888-? ), and Airdrie Edna Bell (1901-1985, wife of Alexander T. Cameron). He was a member of the Manitoba Club, St. Charles Country Club, AF & AM (P.G.M. Man. Grand Lodge; 33rd Degree Supreme Council). He belonged to many other societies, among them the Minnesota Historical Society and the Geographical Society of San Francisco. He was a fellow of the Royal Geographical Society and, in 1914, was given an honorary degree by the University of Manitoba for his work with the Manitoba Historical Society. He was a member of the Prince Rupert No. 1 Masonic Lodge. As the Grand Master of the Masonic Lodge in 1895, he laid the cornerstone of the new Masonic Temple at the corner of Ellice Avenue and Donald Street. Bell was an athlete of some note when he was young, especially in the sport of skating. He was famous for having skated from Winnipeg to Selkirk on the Red River in just two and one quarter hours in 1877, and he was also a talented figure skater. He coached speed skater Jack McCulloch, who won the 1897 World Speed Skating Championship in Montréal, and he is credited with having introduced figure skating into western Canada. He died at his cottage at Minaki on 29 August 1936 and was buried in the Old Kildonan Cemetery. There are extensive papers at the Archives of Manitoba. Bell’s maps were bequeathed to Queens University (Kingston). 1. Winnipeg Free Press, 11 May 1963. 2. Winnipeg Free Press, 6 March 1971. 3. Winnipeg Tribune, 18 February 1911. 4. Information for this article was taken from the various clippings under “C. N. Bell” in the Biographical Scrapbooks, Legislative Library of Manitoba. 1901 and 1911 Canada censuses, Automated Genealogy. “Pioneer dies,” Winnipeg Tribune, 29 August 1936, page 1. Death registration [Frederick Charles Bell], British Columbia Vital Statistics. Obituary [Airdrie Edna Cameron], Winnipeg Free Press, 4 November 1985, page 40.